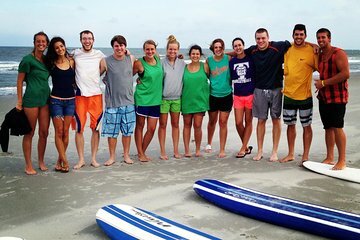 Grab your friends and family and take a 2-hour group surf lesson at Myrtle Beach. Learn basic techniques like popping-up and water safety or tweak your skills if you have more experience. This lesson is suitable for absolute beginners and for all ages as long as you know how to swim. The group rate is available for a minimum of three guests and all necessary equipment is provided.